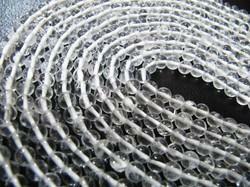 We are a renowned enterprise involved in offering admirable range of Synthethic Crystal Beads. Our skilled experts as per the set industry quality standards manufacture the range of product. The offered product has been extremely appreciated by our customers for its exquisite designs, marvelous patterns and smooth finishing. 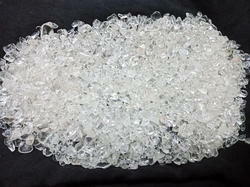 we are leadersupplier of super quality crystal chips. also we supply other stone.our speciality is crystal chips polish. our polish is high qualith polished so customer happy with our services. We offer Crystal (Far Bati F) Loved by all crystal need no description. Separate quality testing unit is developed by us, where experienced workforce looks after the entire process and ensure that the final range would not carry any flaw.